Hi, I’m James Edward Mills and I’m the creator of the blog/podcast series The Joy Trip Project. I’m basically a freelance journalist who specializes in telling stories about the business, art and culture of the sustainable active lifestyle. If you’re not familiar with my web site or Facebook page you might have seen some of my work online, in the pages of publications like National Geographic Adventure, Alpinist Magazine, Rock & Ice and High Country News or maybe you’ve heard my voice on National Public Radio. I tell stories about people who work and play in the outdoors while creating incredible works of art or profound expressions of the human experience through social activism or environmental conservation. Since 2008 it’s been my pleasure through the Joy Trip Project to create a wide variety of compelling stories. But as you can imagine an enterprise like this doesn’t come cheap. That’s why I hope to get your support through this ongoing Patreon campaign. With the help of your regular financial contributions I can bridge the gap between paid gigs writing for magazines and web sites and the occasional sponsored reporting assignment. You’ll be able to help keep the content I produce free of advertisements and paid promotions. With a regular source of income I’ll be able to focus my attention on content creation and less on fundraising. Without that distraction I’ll finally be able to create a regular production schedule and bring you the stories you’re looking for. You’ll also help me to commission the valuable work of professional photographers, filmmakers and musicians that help make the Joy Trip Project both interesting and engaging. As mainstream media keeps cutting back on their budgets to pay freelancers like me I am incredibly grateful for the support of fans like you who want to encourage the creation of more stories about the exciting adventures and humanitarian initiatives around the world that you love most. Your contributions can help keep me on the road and in search of the latest projects and personalities in the field. I am personally inspired every day by the amazing work being generated by outstanding individuals in the interests of science, philanthropy, art or sheer adventure. And it’s my great privilege to bring you their stories week after week. By supporting the Joy Trip Project you’re also helping to discover new ways to keep yourself enthusiastic and motivated for your next adventure. You’ll be able to stay up to date on all the latest films, books and ongoing expeditions across the planet. And as a patron of this project you can help encourage others to create exciting new projects of their own. For as little as a dollar a month you can help me tell the great stories of our times. Don’t wait! Become a patron of the Joy Trip Project today! This is a really basic premium to show my appreciation for your support. 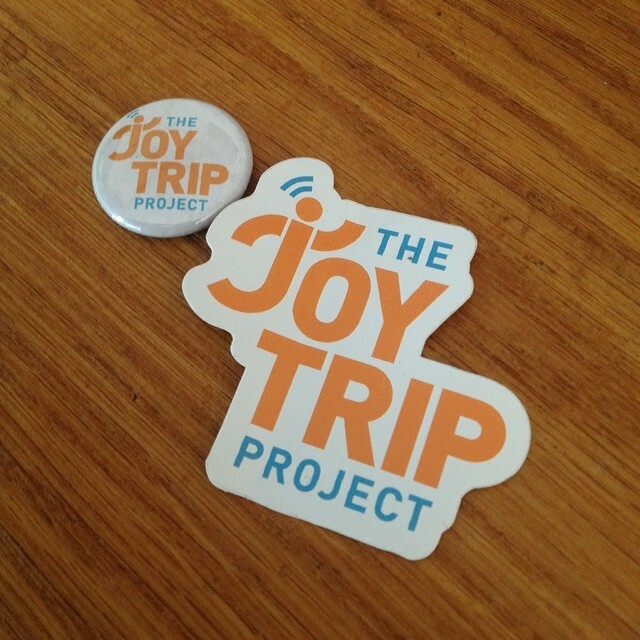 For $1 per month or $12 a year I'll send you out both a Joy Trip Project logo button and a decal. Please be sure to include your address! 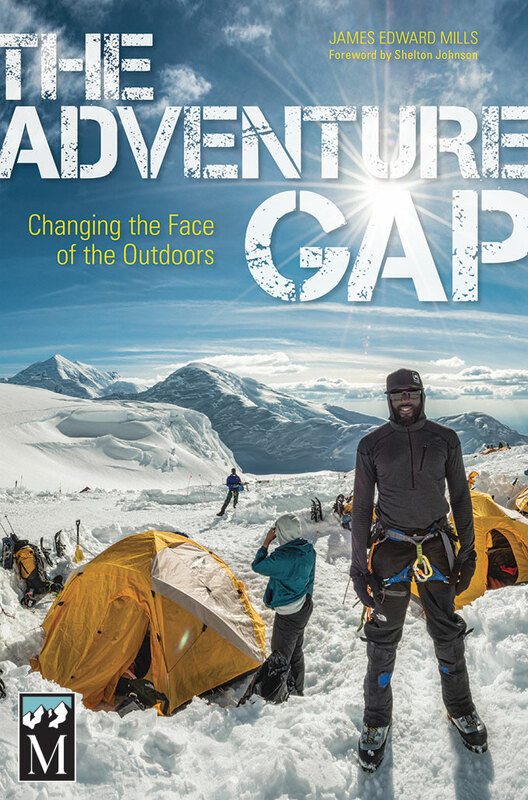 A portion of your contribution will go to support the The Adventure Gap Scholarship Fund that will send a young person age 16 to 23 on a field course with the National Outdoor Leadership School!